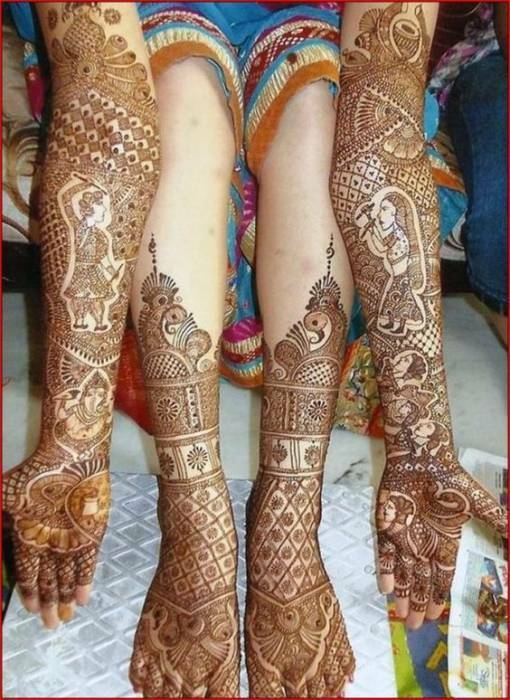 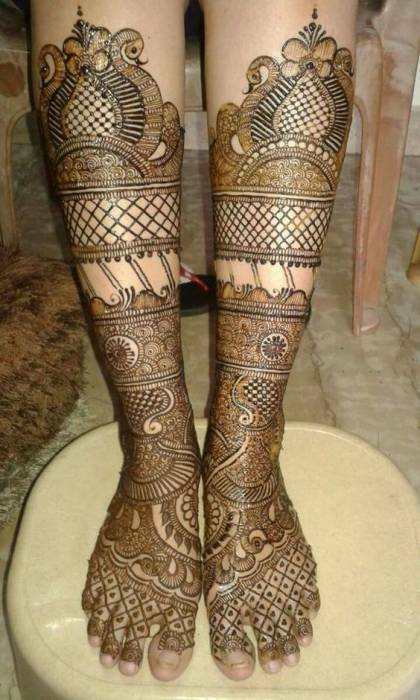 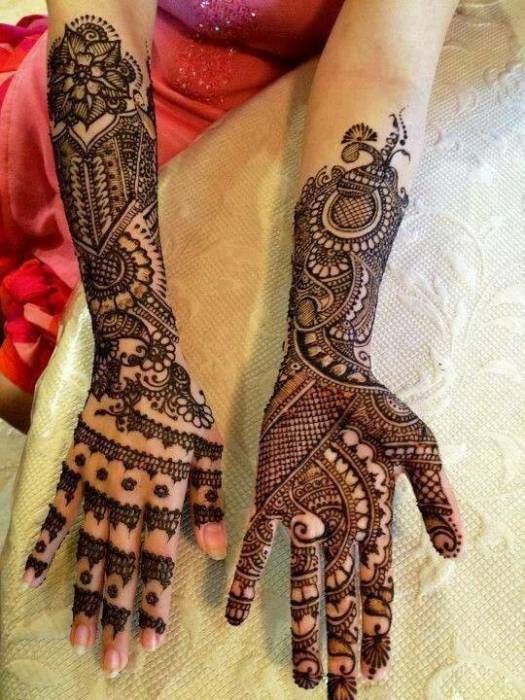 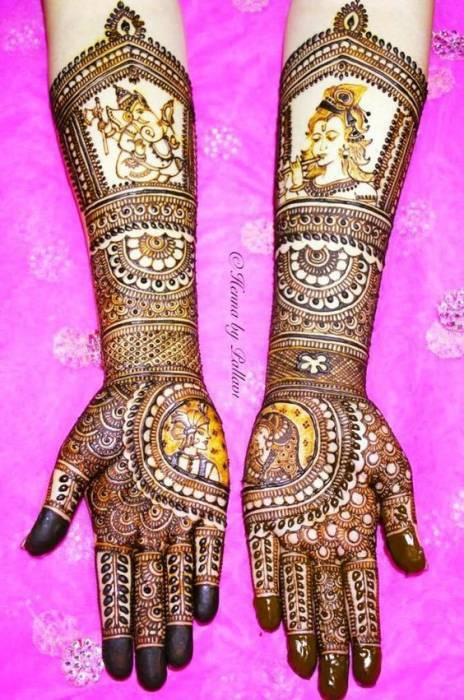 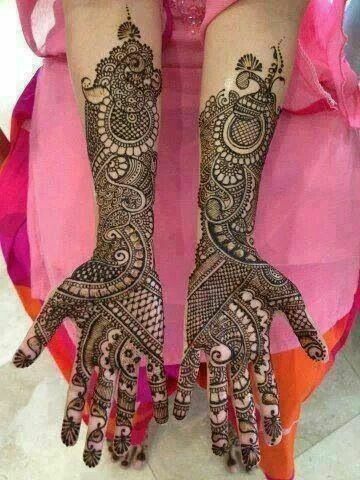 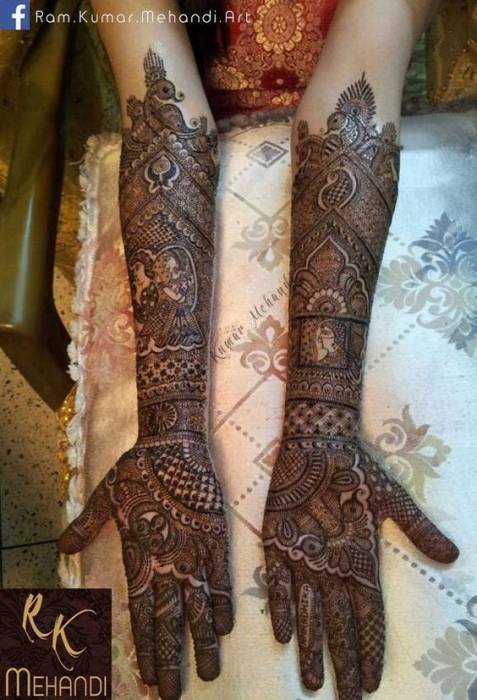 When talking about Mehndi we can’t miss Rajasthani bridal Mehndi designs. 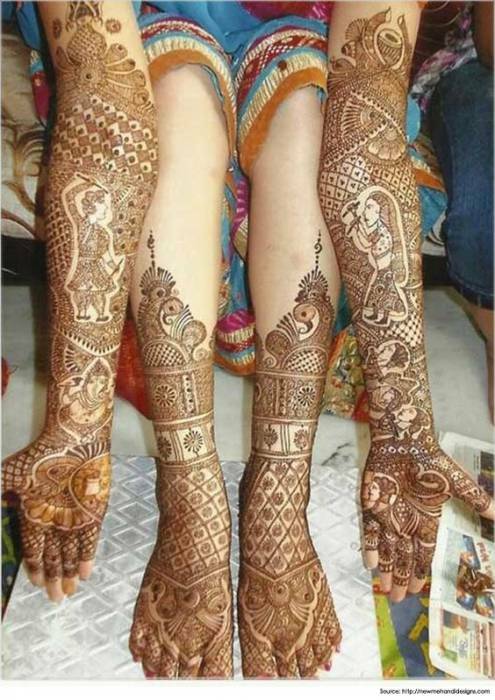 Rajasthan is a place full of creativity and its the only reason why, despite having a harsh climate, it is the favorite tourist destination of people living in India and as well as people living in abroad. 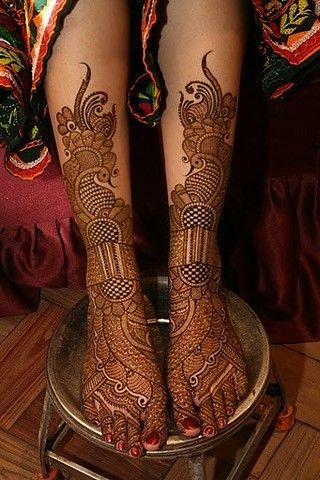 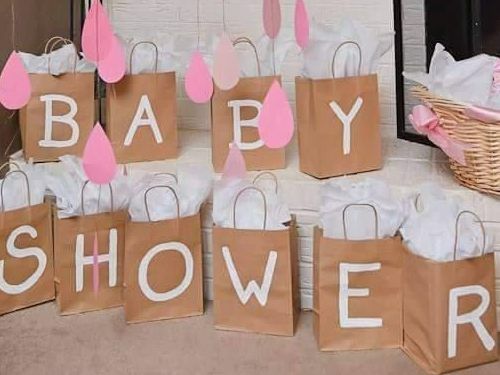 Whether we talk of carpets, metal crafts, fabric, leather ware or furniture they are at the top. 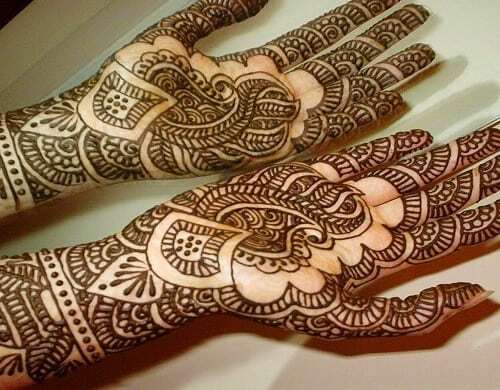 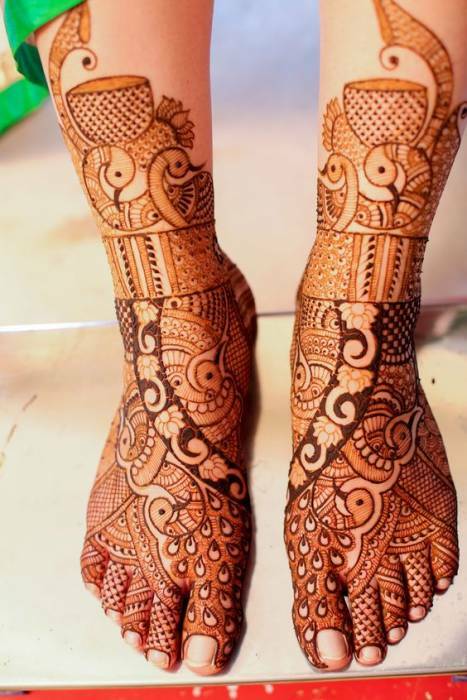 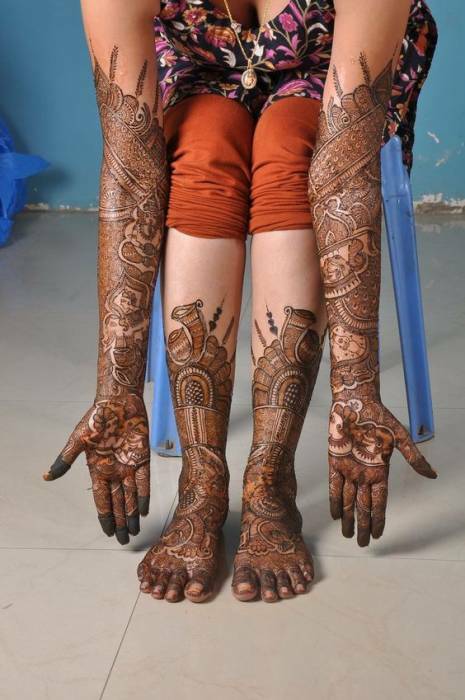 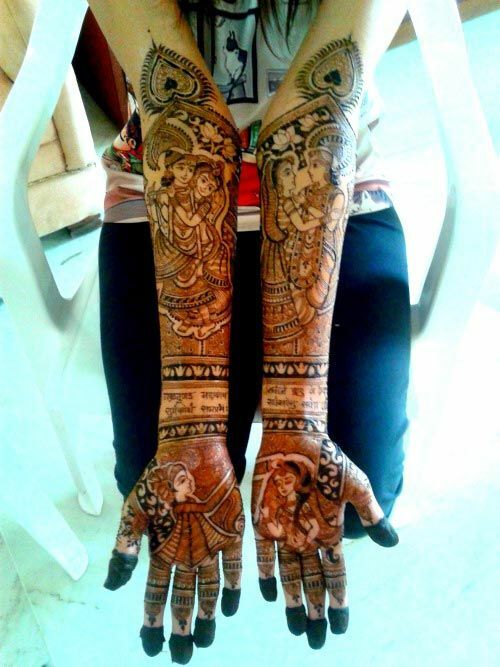 Now talking about the Rajasthani bridal Mehndi designs there is so much to describe about. 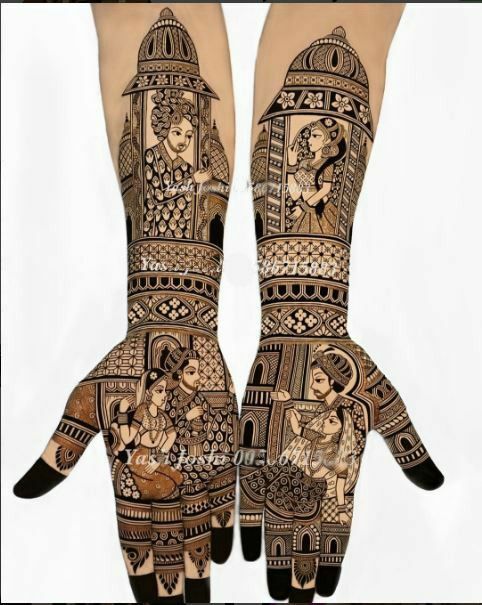 The bridal design comprises of portait of bride and bridegroom, palaki, musical instruments, peacocks and much more. 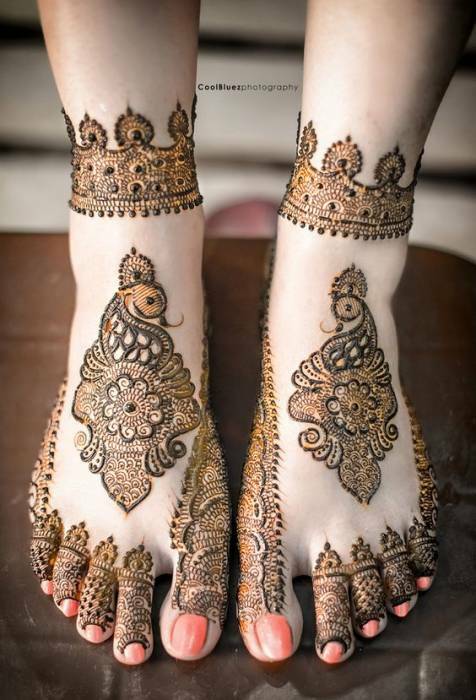 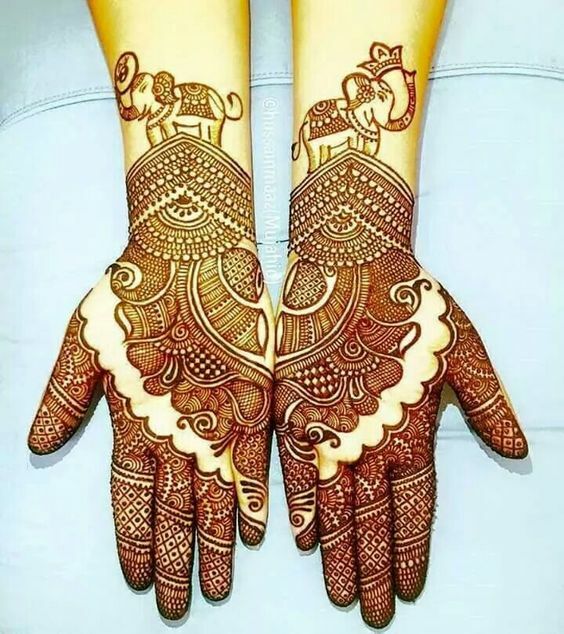 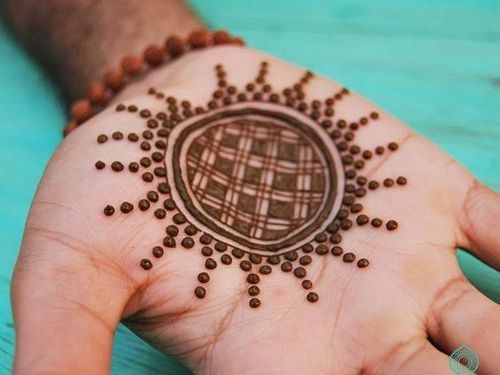 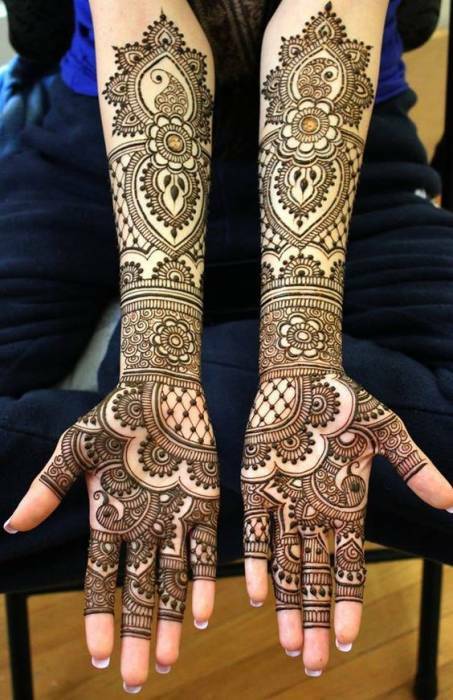 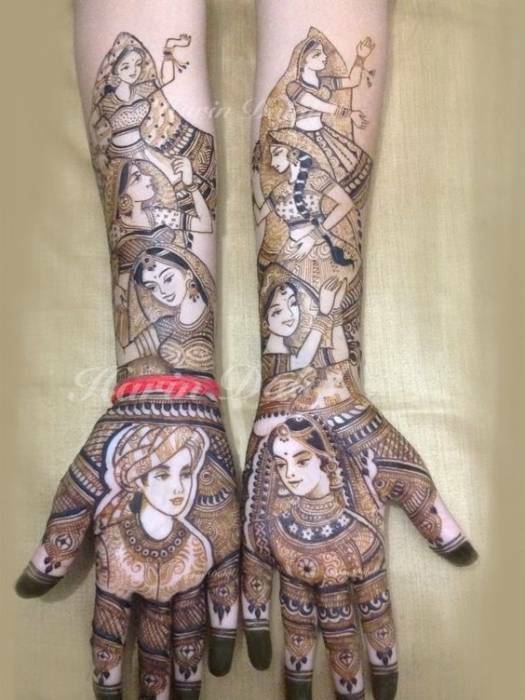 In some Mehndi designs you can also see sketches of lord Krishna with Radha or lord Ganesh or lord Shiva as these hindu gods and godesses are considered auspicious for any marriage function. 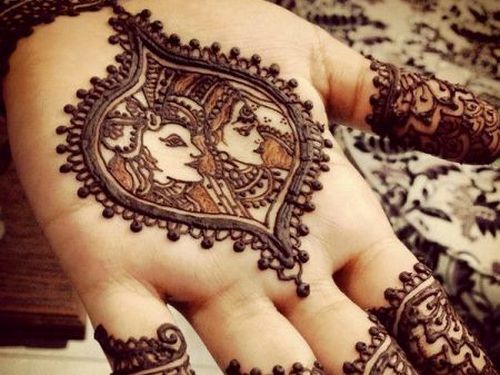 You can also see the glimpse of swan and elephants in these Rajasthani designs. 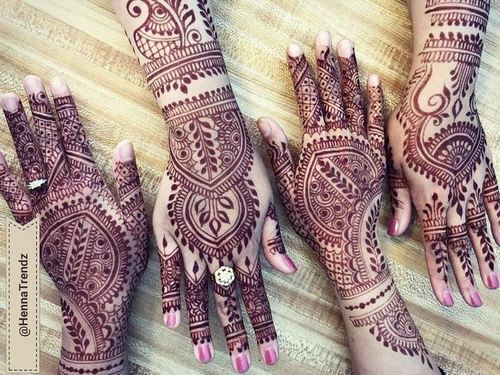 All of these designs just describe the richness of Rajasthani Mehndi design and only a perfectionist can do justice to this Rajasthani art. 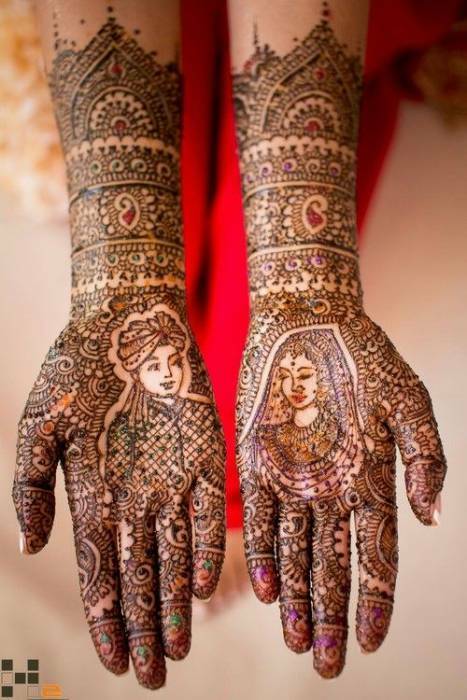 These are not merely an art piece, but it tells about the history of Rajasthani royal weddings. 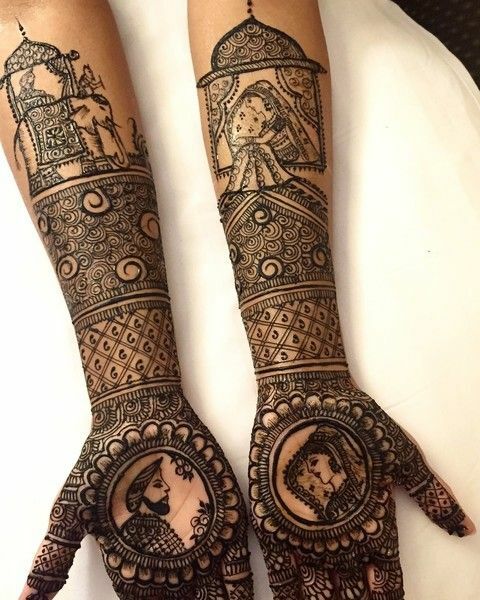 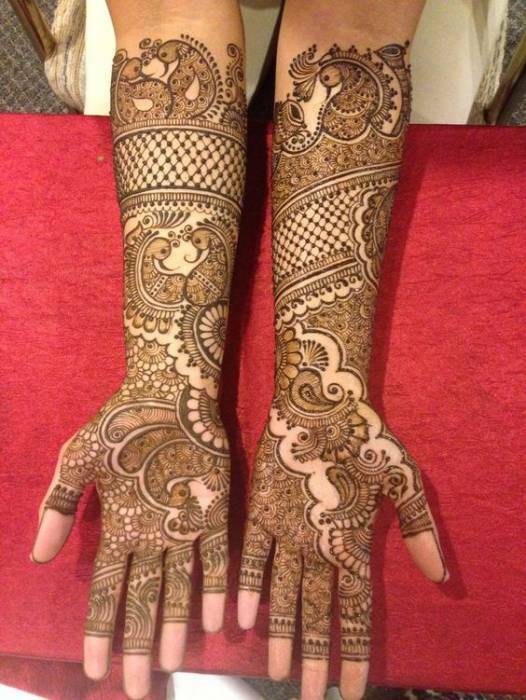 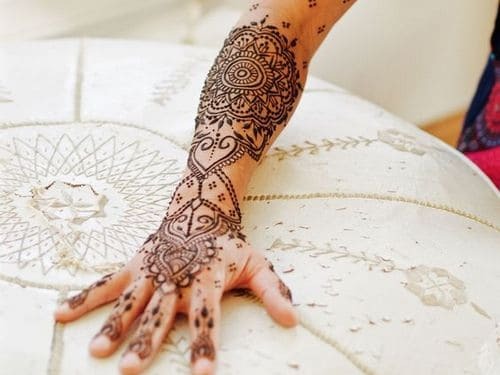 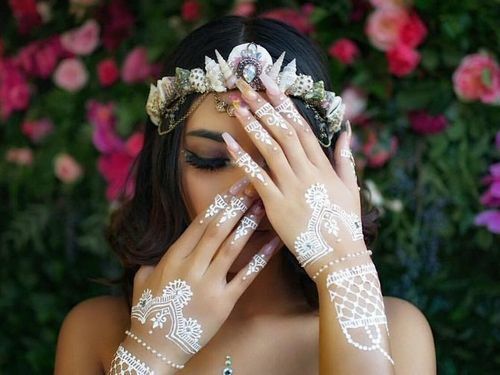 So these Mehndi designs are a perfect choice for a bride to look like a princess on her wedding day.